Welcome to the Sports Page. Spanning the globe to bring you the funniest in athletically supported stories. From Albert to somewhere without vowels that begins with a Z, RPNN SPORTS is there. 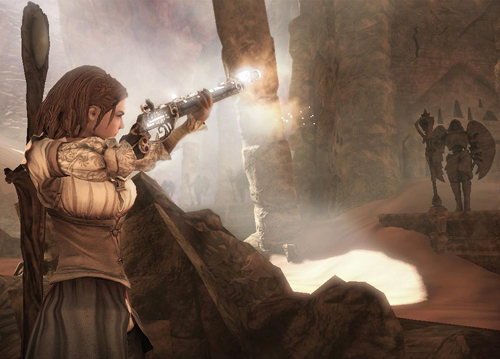 Images are copyright of Microsoft Game Studios and Lionhead Studios. In the grand scheme of why so many people consider themselves gamers, perhaps the one element that draws so many in is the ability to make one’s life turn out to be as awesome as they possibly can. Despite the stereotypes reinforced by gaming conventions, role playing adventures are actually engaged in by some not freakishly weird people. This is seen more often in video games than the book in basement version and this particular title is the third in a series that has helped the Xbox be considered a serious platform for modern RPGs. Granted, the action based stuff isn’t for all tastes, but despite what some may find wrong with this release by Lionhead Studios, it actually has in some ways gotten better with each sequel. 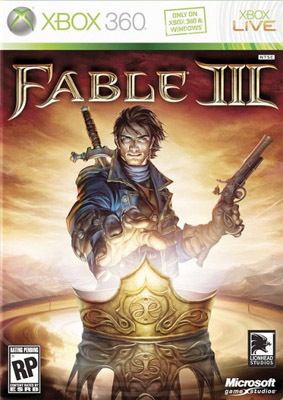 “Fable III” as far as functionality can draw in quite a large audience and though not as challenging as it could be, is an easy way to lose one self in fantasy. The premise of the game continues a similar theme from the previous two where the actions you take in this realm impact everything from your appearance to your path in the future. This one steps up that element further in that you have a chance to be the King or Queen of all you survey, thus having influence on millions of other lives. 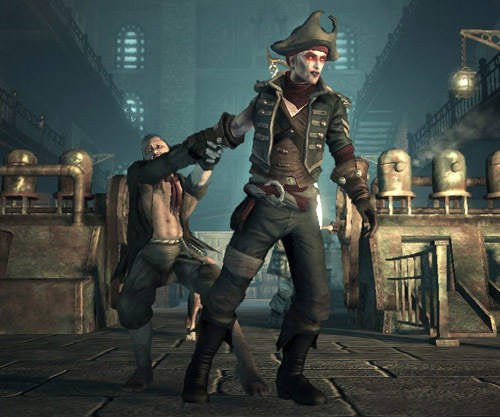 Your royal audition comes about when your brother Logan, who is the current monarch, goes on a bit of a tyrannical binge after taking over from the Queen, who happened to be the hero from Fable II. With the aid of local groups of discontent people you lead the way in a revolution with quirky characters from a servant named Jasper (voiced by John Cleese) to a sidekick of sorts named Sir Walter Beck. However, a bit of the real world comes in to each decision making most issues far from just good or evil. One could also consider this something like “The Sims” meets classic MMORPG, since you can actually work together with one other player through Xbox Live. Another thing carried over is your ability to be a business owner as well as landlord, though if you want happy tenants you actually have to regularly check on and repair their living quarters. As with the other games I had almost as much of a blast playing the role doing things like raising a family or dozens of side quests to earn friends just by helping them out. A couple of things that hurt the game however is some glitchyness that can make the game almost unplayable on older consoles, the lack of freedom to play with your inventory like giving random gifts and the difficulty is almost nonexistent once you reach the strongest level. Still, with the addition of more big quests for optional download, nearly infinite personal player customization and witty humor, It makes for at least a rentals worth of good time. With some rather adult themes (more suggestive than visual), this game is not really all that recommended for kids, who would probably be better off playing the G-Rated stuff like “Legend of Zelda.” Throughout the industrial revolution type of world going on, there’s also quite a bit of social commentary in the lives from the rich to street beggar. Some recommendations for the next likely sequel: a bit more interaction with the environment as well as landscape and an enemy that adapts its skill to keep the challenge going on much further (though they can certainly keep the idea that you only really finish the game when you decide you are done). Sure it’s not perfect, but most of the actual in game play flows much better than many rushed releases. As a result, I’d say “Fable III” for the Xbox 360 earns a chicken chasing five out of six toggles. Previous Sports: Vanquish for Xbox 360.